Why should you learn about stem cells as a prosthetic alternative? An article in the Washington Post, “As joint replacements grow more popular, younger patients face repeat surgeries” looked at the growing use of joint replacement in younger patients. According to AAOS figures, more than 277,000 total hip replacements were performed in 2008—an increase of 78 percent from 1998. Over the same period, the proportion of patients who were between 45 and 64 years of age grew from 27 percent to 40 percent. The increases are driven in part by alleged improvements in technology, the intent of which is to lengthen the usable life of replacement devices; and in part, by growth in the number of patients with active lifestyles who are unwilling to accept physical disability. When I did my first joint operation in 1973, the indication was a patient in pain with altered function over age 70. Now, getting a new hip has become a more common option for younger people who suffer pain that limits activity, disrupts sleep and causes them to miss work. What the younger patients risk in exchange for increased mobility is the likelihood that the replacement will someday have to be repaired or replaced, a procedure known as a revision. Most replacement joints are expected to last 15 to 20 years, according to the National Institute of Arthritis, Musculoskeletal and Skin Diseases. So younger patients are likely to outlive their new hips – and experts say the second operation can be trickier than the first. The DePuy Orthopaedic recall concerns a hip implant that had been put into 93,000 patients around the world after reports that 12 to 13 percent of them failed within the first five years. The Food and Drug Administration is reviewing the implant, which is the target of several dozen class action lawsuits. Knee replacements – far more common than hip replacements – are also becoming more popular among those 45 to 64 years old, according to the orthopedic association’s figures. A major factor in this growth is a surge in younger patients with osteoarthritis, one of the later-in-life paybacks for sports-loving baby boomers. I am increasingly conscious of orthopedic manufacturers using “direct to patient” advertising campaigns to promote a product such as “Gender Specific Knee” and more recently, claims about a “30 Year Knee”. If the truth be told, the only real source of information regarding performance and survivorship is a National Joint Registry; we don’t have one in the United States. 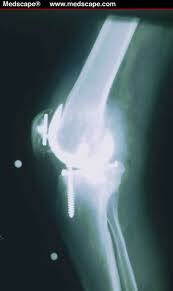 To learn about an artificial joint performance, we in orthopedics look elsewhere such as at the National Joint Registry of England and Wales. Revision rates of the most commonly used brands of knees average 2% at 3 years.